The premier pediatric dentist in Las Vegas, Signature Smiles, is now offering an excellent special for kids going back to school in need of a checkup and dental cleaning. For only $69, Signature Smiles is offering an exam, x-rays, cleaning and fluoride treatment. Signature Smiles is now offering a $69 kid's back to school special including an exam, x-rays, cleaning and fluoride treatment. The premier pediatric dentist in Las Vegas, Signature Smiles, is now offering an excellent special for kids going back to school in need of a checkup and dental cleaning. For only $69, Signature Smiles is offering an exam, x-rays, cleaning and fluoride treatment. For more information and scheduling the Kids Back to School Special, call (702) 337-2273. Prior to returning to school, the end of summer is a perfect time to get the kids' teeth evaluated. This can help prevent larger problems from occurring later, and helps avoid the need for missed school time. The fluoride treatment helps prevent the formation of cavities. 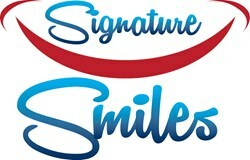 For twenty years, Signature Smiles has been offering comprehensive dental treatment from toddlers to senior citizens. This includes both preventive options along with restorative treatment. This includes Las Vegas cosmetic dentist treatment, dental implants, teeth whitening, dentures, bonding, bridges, extractions, emergency treatment and more. The practice offers multiple additional new patient specials including a $59 exam, x-rays and cleaning. For only $1, Signature Smiles sees emergency patients and offers an exam and necessary x-rays. Also, Signature Smiles provides take home teeth whitening for only $1 to patients who have PPO insurance and undergo a normal exam and x-rays. Additionally, Signature Smiles has the best Las Vegas Invisalign dentist. Invisalign involves clear braces, which straighten one's teeth while no one notices. The practice offers a complimentary Invisalign consult and $500 off the treatment. To take advantage of the $69 back to school special from a pediatric dentist Las Vegas trusts, call (702) 337-2273 today.